League of Legends players hate mobility on enemy champions, but love it on their own. It's one of those things that's tough to balance, and Riot tends to either nerf the base stats or reliability of champions with too much of it. What kind of things do high level players do with mobility that lends itself to abuse? Check out our Top 10 below! League of Legends players hate mobility on enemy champions, but love it on their own. It's one of those things that's tough to balance, and Riot tends to either nerf the base stats or reliability of champions with too much of it. What kind of things do high level players do with mobility that lends itself to abuse? Check out our Top 10 below! Let's start off with an extremely simple, yet possibly the most valuable aspect of mobility. Dodging skillshots is something players seem to forget about, and you'll often see players only using their mobility offensively. Good players use their mobility to dodge highly dangerous spells like Sejuani's ultimate, Blitzcrank hooks, etc. Players that don't save mobility for dodging high impact spells are largely wasting its potential. This is a somewhat more champion specific type of usage, but mobility on champions like Ahri and Ekko allow them to reposition their spells to maximize the pullback damage. Meanwhile, mobility can also help champions like Zoe reposition in order to hit their spells behind minion waves. This is something that players need to practice a bit to avoid faceplanting onto a wall. Besides the obvious Nidalee and Riven jumps accross walls everyone's fond of, using terrain can actually increase the overall distance moved. Champions like Fiddlesticks and Ezreal are particularly good at it, and knowing which walls you can jump over will greatly expand your mastery of these champions. Some other champions like Quinn and Yasuo can also move over terrain in the right scenarios, so learn your champions thoroughly. Knowing where an enemy can potentially move can actually work against you sometimes. For example, seeing Ryze ultimate on one side and moving away only to run into another enemy is common in higher divisions. Another example is when Bard uses his magical journey; he can choose whether to go in or not, but if you run into it to chase him you might find yourself alone on the other side. Certain mobility spells can cancel things like Blitzcrank's hook or Alistar's headbutt. Some include Ezreal's arcane shift, Shyvana's ultimate and Kassadin's riftwalk to name a few. Using these appropriately obviously saves yourself from death, but it can also prevent your less mobile teammates from getting caught. My favorite example of this one is how Zac can smite Baron mid-jump across the pit and land safely on the other side. Obviously this can be difficult without good vision, but when you pull it off it feels amazing. Another common example is Lee Sin using his Q to steal an objective then quickly jumping back out with W.
Champions like Riven and Nidalee have the ability to move around the map quickly for free, allowing them to get to lanes faster and move around to objectives more easily. Make sure to abuse terrain for maximum effect. Some mobility spells linger with the threat of a champion jumping back to that location, especially someone like Leblanc or Zed. By leaving their jump point somewhere in the middle of their front line and back line, it effectively zones off squishies for fear of getting jumped on when their own front line is trying to engage. 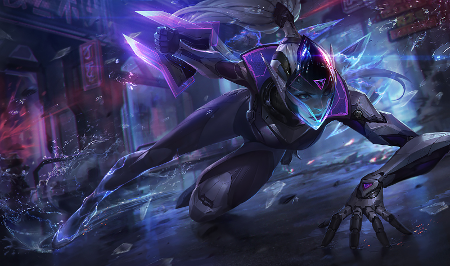 This one is another very specific use of mobility, and when I think of this I specifically think of the Vayne vs Sona match-up. If you know the range of Sona's Q, then Vayne can move just inside range of Sona's Q and then tumble out of it, causing her to waste the mana and cooldown. Similarly, Vayne could also bait something like Miss Fortune's double-up by standing behind a minion then tumbling away at an angle when Miss Fortune is about to get in range. Some champions like Irelia have mobility that relies on an outside factor, in this case minions. By recognizing these angles you can often move faster by taking a minor detour. Another good example of this is Rengar and his bush interaction. Mobility in League often has uses outside of simply moving around a little faster. If you want to really utilize a champion to its fullest abilities, you have to be using the potential above. If you don't, then the mobility ends up wasted and you take a stat hit without the added benefits. Got more usages for mobility not listed above? Found this list helpful? Comment below!